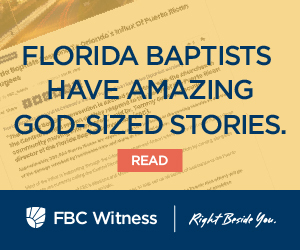 While Hurricane Michael brought our state the devastation that so often comes with a storm of its magnitude, Florida Baptists are discovering some unexpected blessings in its wake. 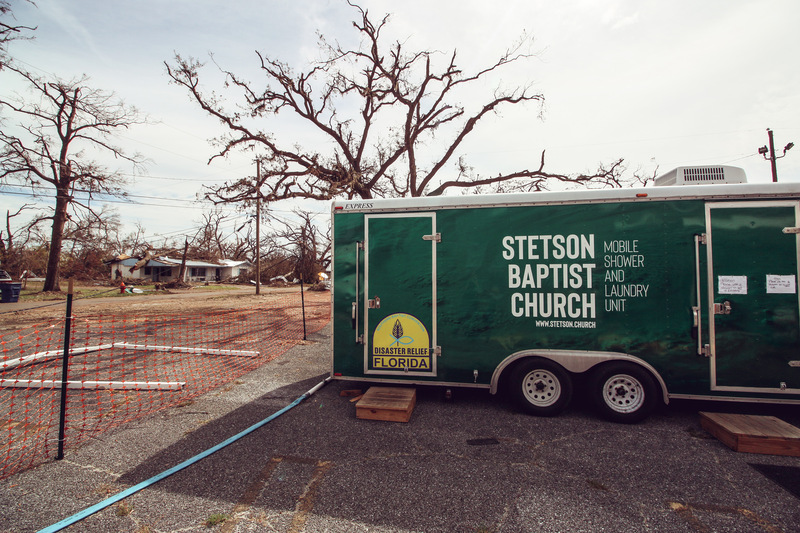 Through Churches Helping Churches, Florida Baptist churches from anywhere in the state can partner with a church in the hurricane-impacted areas of the panhandle. There have even been churches from other states that have indicated they want to help. “Our church-to-church effort is designed to identify a non-storm affected church that is willing to partner with a storm-impacted church to serve as the point of contact for coordinating recovery responses and efforts for that specific church,” said Lewis Miller, West Florida Regional Catalyst. First Orange Park has partnered with Long Avenue Baptist Church in Port St. Joe. First Orange Park has been collecting funds for the church to begin its recovery. 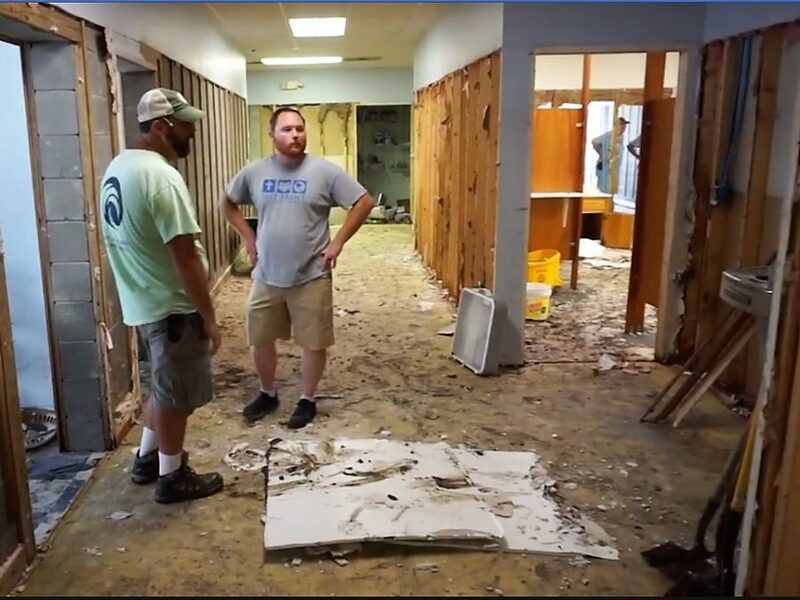 Once Tarkington gets the all-clear from Long Avenue’s pastor Eli Prine, they will send teams of volunteers to work alongside church members, restoring the church facility and ministering to the community. Brad Gwartney, pastor of administration and discipleship at Stetson Baptist Church in DeLand, knew his church would jump in with aid as well. As a chaplain with Disaster Relief, Gwartney had firsthand knowledge of not only the physical needs but the spiritual needs of the area. His church, along with Central Baptist Church in Sanford, have teamed up to help Immanuel Baptist Church in Panama City. A congregation that is 118 years old, Immanuel has been without a senior pastor and attendance has dwindled. Gwartney said they are ready to help with anything the church needs from clean-up and repairs to leadership and pulpit supply. Stetson Baptist Church in DeLand and Central Baptist Church in Sanford are partnering with Immanuel Baptist Church in Panama City. Gwartney said this is also a good opportunity for two central Florida churches to be a part of a Kingdom legacy that’s beyond their own. And they want to use the lessons they learn through this experience to be better prepared should a disaster of this magnitude ever strike them. To that end, there will be a meeting next month for Central Florida churches to come together and think about their own hurricane response. West Bradenton Baptist Church is also partnering with a Port St. Joe church – First Baptist. West Bradenton Pastor Sam Rainer said that his church has been sending supplies but as the power is coming back online, there are some needs that go beyond food and water, namely bug spray. Rainer said soon they will be sending up teams of volunteers to help mud out and do any other clean up that needs to be done. After Hurricane Irma, when Rainer was displaced, FBC Port St. Joe took them in and helped support the church. “Now it’s our turn,” Rainer said. Rainer said he’s seen some smaller churches team up to partner with a sister church in the panhandle and he’s seen Baptist Associations do the same. Rainer stressed that, no matter the size of your church, every congregation can help and it’s important for churches to act quickly. 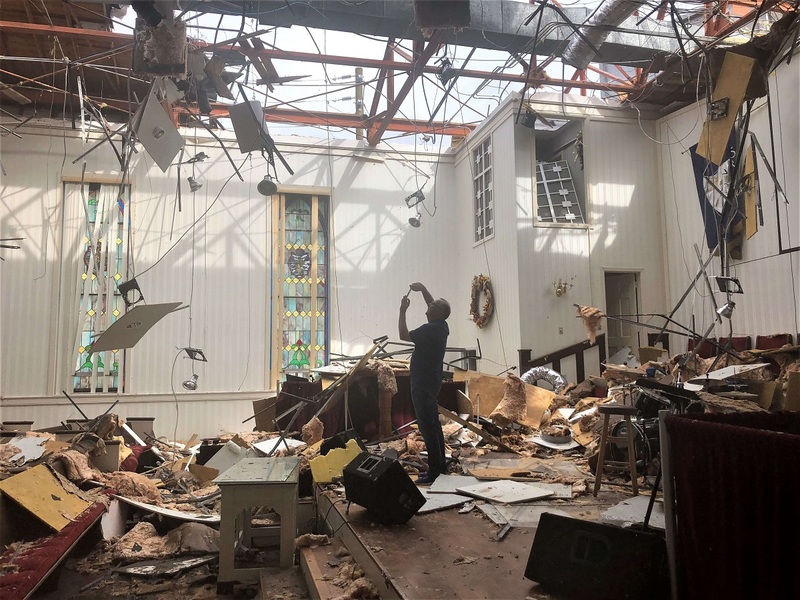 To give to the Hurricane Michael recovery effort, click here or to find out how your church can partner with a church in the Florida panhandle, click here.